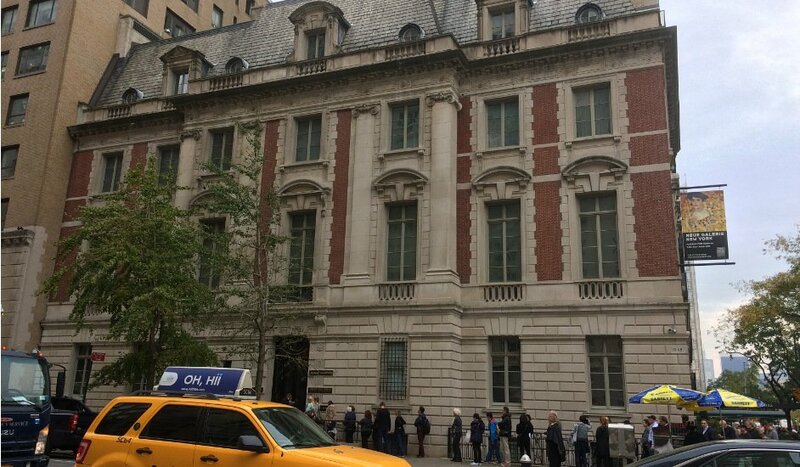 The Neue Galerie shows 20th Century Austrian and German Art and this mansion turned museum on Fifth Avenue is a stunning place to spend the morning. The Casablanca Hotel is a relaxing space in Times Square. With moroccan inspired decor and fantastic service, it’s a perfect place to stay in New York City. Hotel Giraffe emanates peace and elegance. An oasis right on Park Avenue. It’s a boutique hotel with the luxuries you expect in New York. citizenM Hotel New York: For Expert Travelers Who Want Something Cooler. The Citizen M Hotel New York is both efficient and cool, a relaxing space with a snarky sense of humor. It’s as “New York” as they come and only minutes from Times Square. Lakewood Vineyards in Seneca Lake, Finger Lakes, is a vineyard and winery with a family tradition where good wines and friendly people are guaranteed. Barnstormer Winery is the result of a dream, the dream Scott had to create a winery with high quality, even if the production was on a smaller scale. The Library Hotel New York helped us to live out the dream of any book lover: spending the night surrounded by a library of books just steps from Grand Central and Times Square. The location is ideal and the ice cream is even better. You can’t miss the Brooklyn Ice Cream Factory for a delicious sweet treat! Our experience enjoying a night’s stay in the heart of New York with views of Times Square and complete relaxation at the Riu Plaza New York. The Brooklyn neighborhood of Bushwick has been transformed recently by an influx of street art thanks to the Bushwick Collective. Looking for a different kind of Manhattan Cruise? Why not combine jazz, views of the Manhattan skyline, sunset and a bit of wine? Everything you need to know about City Pass New York. Is it worth the money? Have you ever wondered if you should buy the City Pass New York or had questions about it? We’re here to help with our complete guide. Our experience sleeping at the foot of the Empire State, one of the most comfortable beds we’ve ever enjoyed and all the charm of the Hotel Archer. The Tenement Museum in New York is a clear reflection of the immigrant experience on the Lower East Side. Tours with stories that will move you. Is New York’s MoMA really worth the price of admission? It’s true that the price of a ticket to the Museum of Modern Art in New York is expensive, so we ask: Is it really worth it to visit MoMA? The Louis Armstrong Home Museum in Queens, NY is one of the hidden gems that a lot of people don’t know about. It has been kept just like when he lived there and the treasures found there are invaluable. I was able to get the views from the movies with On Location Tours and I have to say that I loved it even though I live in New York. The MET is, without a doubt, one of the most famous museums in the world, but the Cloisters are also worth a visit in New York. We show you both collections. Espresso 77 is a café with all the charm of Jackson Heights and Queens in general. It’s multicultural, welcoming and best of all, it has good coffee, something that can be hard to come by in New York. If you’re traveling to New York and you have time, don’t miss out on the Guggenheim Museum in New York City. There is always an interesting exhibition and the architecture of the building is unique. Spending Thanksgiving in New York, what can you do on this day? Thanksgiving is a day to spend with family. If you are going to celebrate Thanksgiving in New York, you might have dinner in a restaurant, see Macy’s Parade live or choose from the many activities available in New York City. Fall in Central Park is one of the most charming moments in New York. The colors of the leaves and the natural beauty between all those skyscrapers truly takes your breath away. The Chelsea art galleries allow artists and art lovers in New York to explore these spaces with current art exhibits. What´s more, we added a map so that you don´t get overwhelmed as you visit the galleries, along with places to enjoy tapas and good food in the area! Every year SummerStage New York offers free concerts in different parks across the 5 boroughs. We went to the stage in Central Park and had a great time! Haven Montauk is a perfect place to stay in the town of Montauk NY. A perfect view of the sunset over the ocean and at a good price. Fifth Avenue in Brooklyn and the thrift shops you can find there! Fifth Avenue in Brooklyn is a nice place to take a walk and it´s become a hot spot, in addition to a great place for thrift shopping! Café in Park Slope, Brooklyn, New York. Gorilla Coffee has become a reference, and it’s said that they serve the best latte in Brooklyn. Old Westbury Gardens, located close to New York City on Long Island, was the setting for movies like Love Story. A trip we ruskommend. The Strand Bookstore New York, with mountains of books and three floors is one of the world´s largest used bookstores. It has something for everyone. Whether you live in Manhattan or if you are travelling to New York, Queens should be on your list. There are too many things to do in Queens NY. The Hungarian Pastry Shop: A sweet point of reference for Columbia students. 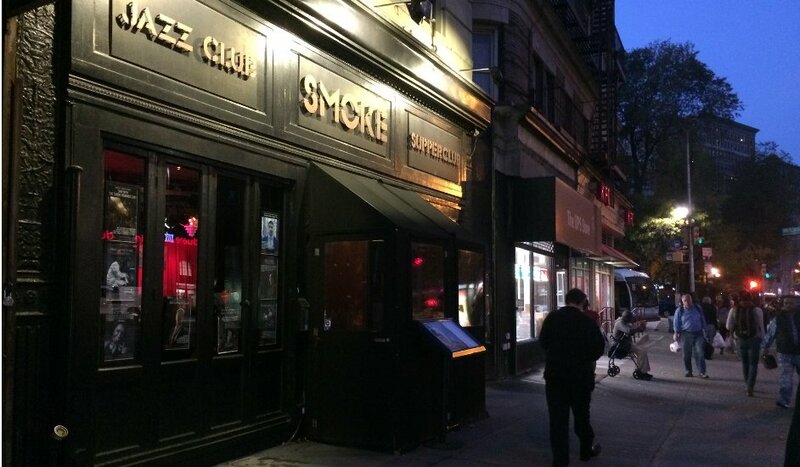 With lot of history, it’s one of our favorite cafés in New York City. 10 pictures taken in Central Park during a snow storm. Walking through Central Park in the snow is something you won’t soon forget. I decided to head to Downtown Manhattan in search of different kinds of NYC bookstores and these were the five I liked best. La Churreria New York is the perfect place to dip authentic churros into hot chocolate. You can experience Madrid in Manhattan! The Aubergine Café in Sunnyside, Queens New York, is the perfect café to spend the morning doing work, or to stop on your way to the office. MoMA PS1 is an institute for Contemporary Art Everyone knows about the MoMA in New York City. In fact, if you think of the museums in New York, the first ones you would name are probably the Metropolitan and the Museum of Modern Art. What you might not realize, however, is that the Museum of Modern Art has an annex in Queens, and it is well worth your trip out of the city to visit P.S. 1. In fact, it is one of the oldest and largest contemporary art institutions in the United States. The Boqueria NYC Flatiron is a way to have tapas in Manhattan We found Boquería NYC, Flatiron while looking for a good place to eat in the area. Literally, I put into the search engine “Restaurant, Lunch, Flatiron, NYC” and up popped a long list of restaurants at various prices. Of course, the first thing that I noticed was a place called “Boquería.” At first I thought that it would specialize in Boquerones, but it turned out to be an authentic Spanish restaurant and the sandwiches were reasonably priced, so we decided to give it a try. Storm King Art Center is home to various sculptures set in the beautiful hills of Storm King Mountain near Newburgh New York, about 50 miles North of New York City.